The 50th Anniversary of A Charlie Brown Christmas is here! Isn’t There Anyone Who Knows What Christmas Is All About!?!? Christmas television is rich with tradition. Every year a new generation is introduced to the Grinch carving the roast beast, and Rudolph declaring he wants to be “In-de-pen-dent”. These are beloved programs that have stood the test of time. In a modern culture full of CGI animated features, it’s nice to see these classics still hold their own. 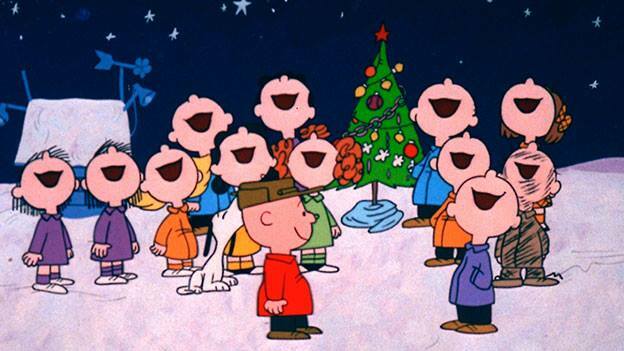 This season marks the 50th anniversary of A Charlie Brown Christmas. "Dude. Stop sucking that thing. You don't know where its been." The truth is many people often find it hard to experience joy around the holidays. It isn’t something that can be easily explained other than it’s an overwhelming combination of things; missing loved ones, exaggerated expectations, or how the holidays can quickly pass and never truly be enjoyed or appreciated. Charlie Brown’s mood is perfectly emphasized by Vince Guaraldi’s original score. The song “Christmas Time Is Here” isn’t your typical upbeat happy yuletide tune. Both the instrumental and vocal arrangements are very moody. It’s a unique piece that has the ability to project a simultaneous happy/melancholy mood. Charlie Brown also brings attention to the fact that Christmas has been overcome by commercialism. This revelation is more prominent today than when the show premiered in 1965, especially considering this special was made before the madness of Black Friday and door buster deals. Charlie Brown spends the entire holiday searching for something pure as he constantly comes to face to face with Christmas corruption. The more he searches, the more discouraged he gets. All along he constantly questions himself why he isn’t happy. When he tries to unify everyone by buying a Christmas tree, he loses all hope when he discovers that everyone has been brainwashed by the modern expectations of Christmas. He is called a blockhead, and everyone laughs at the tree he picked out. “Isn’t there anyone who can tell me what Christmas is all about?”, he shouts in frustration. And then Linus steps forward and recites Luke 2:8-14. And there were in the same country shepherds, abiding in the field, keeping watch over their flock by night. And, lo, the angel of the Lord came upon them, and the glory of the Lord shone round about them; and they were sore afraid. And the angel said unto them, Fear not, for behold, I bring you good tidings of great joy, which shall be to all people. For unto you is born this day in the city of David a Savior, which is Christ the Lord. And this shall be a sign unto you; Ye shall find the babe wrapped in swaddling clothes, lying in a manger. And suddenly there was with the angel a multitude of the heavenly host praising God and saying, Glory to God in the highest, and on earth peace, good will toward men. "Look at that fugly tree!" A Charlie Brown Christmas premiered December 9, 1965. When CBS producers first screened the special they were horrified at the program’s blatant message. The show had no laughs or cheerful sing-a-long songs, and executives were especially concerned with Charles Shultz’s decision to use a Biblical quote in the special. They were convinced the show would be a flop. When CBS tried urging Schultz into removing Linus’ pageant speech, Schultz stood his ground and said "If we don't do it, who will?". CBS reluctantly allowed the scene to stay and were shocked at the high ratings and excellent reviews the special received. In fact, the show won the Emmy for Outstanding Children's Program the following year. Holiday depression, commercialism, and down tempo jazz; on paper it doesn’t seem to fit the outline of a children’s Christmas special. 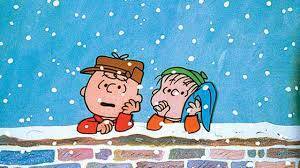 Yet, A Charlie Brown Christmas has become one of the holidays’ most beloved programs. Charles Schultz’s commitment to stay true to his beliefs remains an impactful decision, especially in today's “fearful to offend others” society. With a new era of popularity (thanks largely in part to the new feature length film The Peanuts Movie), A Charlie Brown Christmas will no doubt continue to inspire new generations with it’s timeless message: If you look hard enough, the truth is never far away.